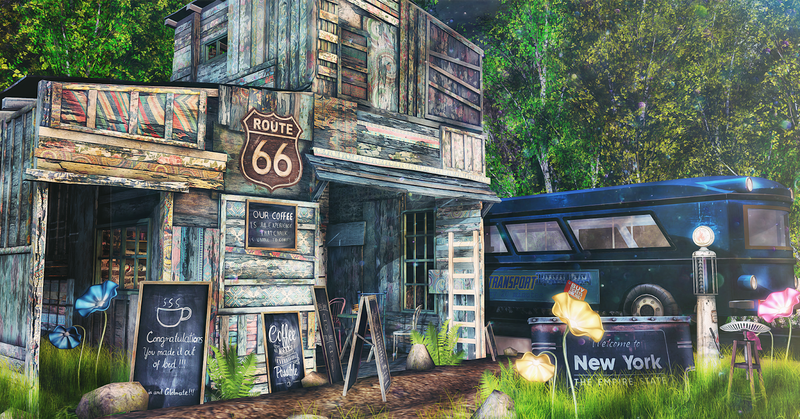 A new build from Death Row Designs is here and it is A-Mazing just like all their releases :) This release is a coffee house and is now at Uber. The set includes the building and furniture. The bus is from the old Steel City set by DRD. It is an older gacha so you will have to search for it on the Marketplace or wait until DRD has a sale where they re-release their older gachas. The additional decor is by Raindale and Consignment and can be found at Illuminate.